If you haven’t already gotten INFJoe’s new book, Text, Don’t Call, then let me help you: Run! Don’t walk! Text Don’t Call can be purchased for around $10 or even less at all locations that sell books. I think I picked it up for about $8 on Amazon. I was able to read through the entire book in a relatively short amount of time, with its concise illustrated format, and I’ve been reading through it again and again, catching things I didn’t notice the first go ‘round. We are in an unprecedented time for introverts. Awareness of this personality type is growing exponentially these days. More and more books on the subject are popping up and it has become common to see lots of webcomics with introversion themes on social media. But in the case of INFJoe (Aaron T. Caycedo-Kimura), no one seems to capture the heart of introversion in quite the same way. Not only does he draw very well, and illustrate the concepts solidly, but he clearly has a special kind of passion and insight into the subject matter. These are well-crafted illustrations that crack me up, but also warm my heart. To be sure, introverts aren’t subjects of persecution in the same way as those who are persecuted on the basis of race or religion and so on, but introvert struggles are real struggles. 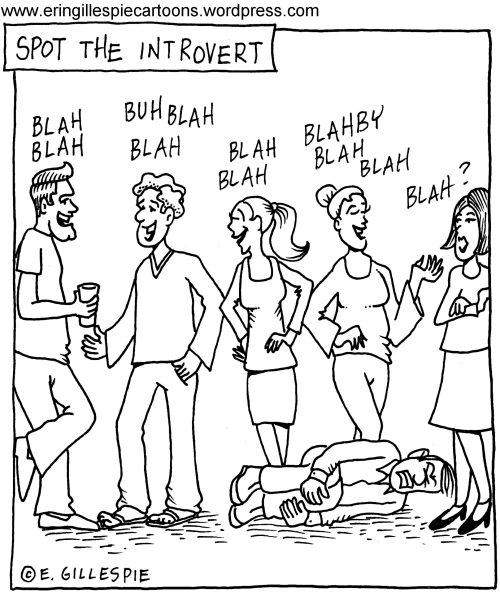 As INFJoe says in the book, why else would #introvertproblems be such a popular hashtag on Twitter? INFJoe knows those struggles well and has a passion to tell these stories, to encourage introverts, and to educate introverts and extroverts alike. Thanks for writing this book, INFJoe. Thanks for providing a new and powerful introvert voice! Check out INFJoe’s website here. 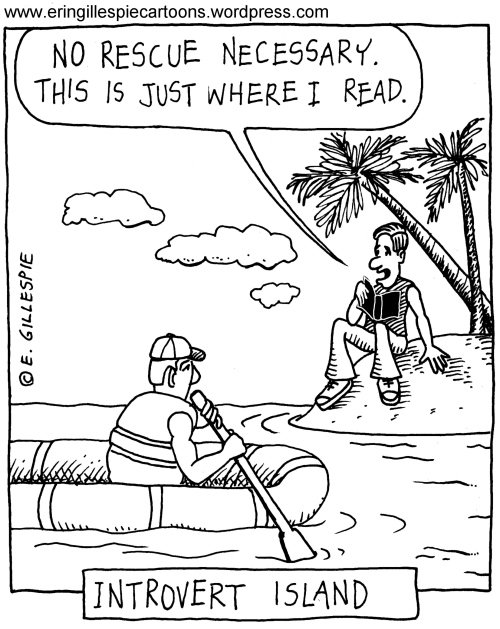 Purchase Text, Don’t Call – An Illustrated Guide to the Introverted Life on Amazon here. 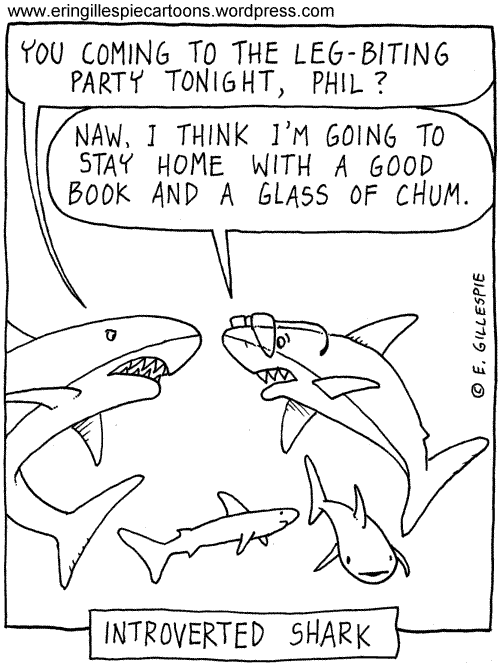 The fourth and final shark cartoon this week for Shark Week 2017. Thanks for playing along!